Heavy farm machinery compacts the soil, both on tilled ground and no-tilled ground. 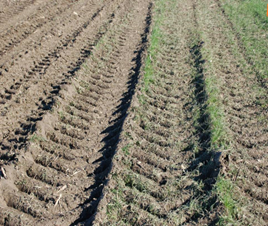 Compaction induced by agricultural machinery often affects soil properties and crop production. 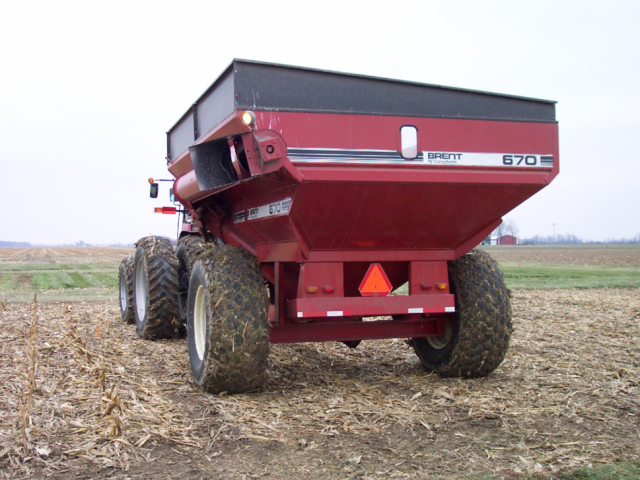 Axle load is the first factor that has to be considered in soil compaction, according to Randall Reeder, Ohio State University Emeriti and Dr. Sjoerd Duiker, Penn State Soil Specialist. Axle load is the total load supported by one axle, usually expressed in tons or pounds. Farm equipment with high axle loads on wet soil will cause compaction in the topsoil and subsoil, whereas low axle loads will cause compaction in the topsoil and the upper part of the subsoil only. Deep subsoil compaction can only partially be alleviated with subsoilers, and at considerable cost. Freezing/thawing and drying/wetting cycles have been shown not to remediate soil compaction at this depth. Finally, biological activity (such as cover crops) is concentrated in the topsoil except deep root crops (e.g. radish or annual ryegrass) and therefore also contributes little to alleviation of deep subsoil compaction. Therefore, avoiding deep subsoil compaction is critical. The key to eliminating deep subsoil compaction is to keep axle load low. Research has shown that a 10-ton axle load almost always causes deep subsoil compaction (more than 20 inches deep) under wet to moist field conditions. If the soil is dry, deep subsoil compaction is less likely, even with high axle loads. Contact pressure is the pressure that is exerted by a tire or track on the soil surface, expressed in pounds per square inch (psi). Reducing contact pressures will cause less topsoil compaction. In completely flexible tires, surface contact pressure is similar to tire pressure. Tires run at 35 psi caused higher stresses at 14 inches depth and created ruts that were more than twice as deep as tires run at 12 psi tire pressure. However, at 22 inches, no difference was noted in measured stress between both tires because the tire load was the same. Deep subsoil compaction is permanent and should be avoided at all costs. This can be done by keeping axle loads below 10 tons, and preferably below 6 tons. Compaction in the topsoil can be avoided by reducing tire pressure, using flotation tires, doubles, radial tires, or tracks, and by employing large-diameter tires. Reducing the number of trips over the field and reducing the total area per acre actually traveled are recommended. Driving on soil that is wetter than the plastic limit (soil crumbles, ideal for tillage) should be avoided at all times.